Call on 079 25506946 to know more or book. 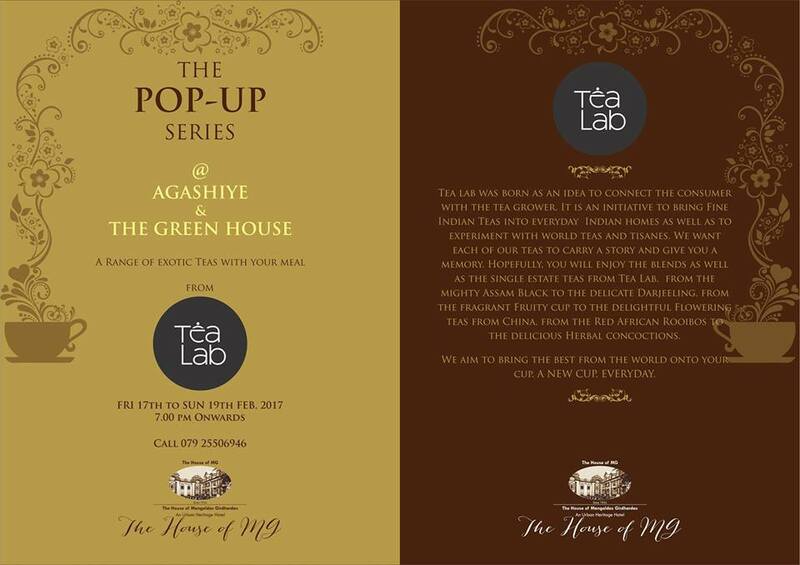 Agashiye & The Green House present THE POP-UP SERIES. Relish a range of exotic teas from across the world with your meal. From the mighty Assam Black to the delicate Darjeeling. From the Fragrant Fruity Cup to the delightful Flowering Teas from China. From the Red African Rooibos to the delicious Herbal Concoctions.